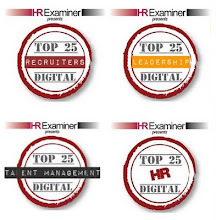 This Strategic HCM blog has now been running for three years. I’ll be marking the anniversary with a review during August of some of my key ideas about managing people for the creation and development of human capital. I’ll then be continuing my own global HR activities with a session on HR scorecarding in Cairo. There’s going to be about 70 people there so it should be great fun to do. And, I’m sure, really valuable for all the attendees. I’ll also be speaking on International HR in this session at SHRM Ohio’s annual conference in Sandusky in September. Do come and say hello if you’re there! I’m going to be taking some time off during August, but I’ve already got a busy September. 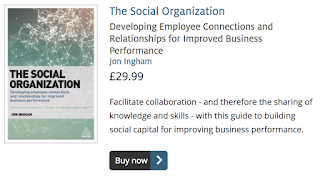 For example, I’m going to be delivering this open workshop on social HR through JSB in September. Do get in touch with them if you’d like to attend, or with me if you’d like something similar… (including in-house / outside the UK). You can catch my recent HCI webcast again on Friday (30 July), or Monday or Tuesday next week (2-3 August). (HCI executive members can view at any time). We often hear about the need to continually attract, motivate and retain our employees. Many of us tie these issues to our employee brand and continually strive to become an employer of choice. But are we missing out on opportunities to utilize technology to improve our brand and solidify our place in the global market? Technologies that are already being utilized by your company can assist you in maintaining brand integrity and driving employee engagement. This webcast will look at multiple technology platform that can work with your existing brand-- and provide big results at a small investment level. We'll look at corporate social networking as a tool to create "employee ambassadors" and see how creating relationship brands and leveraging the social web can promote grass roots brand engagement. We'll also examine best practices from companies who have leveraged their technology systems-- and find out what pitfalls to avoid. I don’t manage to make many HR Happy Hours (actually just the TRU London one – for obvious reasons), but I do listen to the archives (and I know Steve Boese listens to Talking HR too). But I had to catch tonight’s show: Enterprise 2.0 and HR, with Andrew McAfee. As you may know, I’ve recently been posting on HR 2.0 here, and attended this year’s Enterprise 2.0 conference in Boston, which included a keynote from McAfee. Of course, all of this meant that I found a lot of the show to be a bit of a repeat. More importantly than this, I also felt that it largely missed the point. McAfee described the changes in web 2.0 technology, the growing impact of millenials, and the need to manage knowledge by finding and locating experts etc (“If only HP knew what HP knows, we’d be three times as productive”). To me, none of these factors are as important as the socialisation of the workforce. Creating an environment where people know each other, trust each other and can work together effectively because there’s a social context behind what they do. This is partly about understanding the strong and weak ties McAfee mentioned. But it’s much more about the subject of Mark Bennett’s tweet (“I think *capturing* "know-how" is not as effective as having those who have the "know-how" *collaborate* with others”). It’s about creating relationships between people and influencing their conversations, not just linking people up to experts. This is why not just Enterprise 2.0, but Enterprise 2.0 and HR is such a hugely important topic. If we see Enterprise 2.0 as something that’s about technology (or in McAfee’s term, not not about technology), then HR’s role is limited mostly to adoption. Actually, that’s still a really important role, but not as important as a strategic planning one. HR’s role isn’t increased that much if we just focus on ties. OK, a human search engine may be more powerful than a traditional one, but it’s still not going to lead to much of an advantage. But if we think about socialisation, then HR’s got to be firmly in charge of the agenda. We’re the people who understand how people can be brought together to collaborate effectively. And we can use some of our existing tools such as team and leadership development, organisation design, culture change etc to produce a more social workforce too. By the way, the impacts of doing this are much greater than ‘making people feel good’ which was McAfee’s summary of the benefits for HR leaders. Relationships can create competitive advantage. This is the real 2.0 opportunity – for business and particularly HR. Have a look at some of the links – they should keep you busy! I’m quoted in this article in the IOD’s Director magazine. It’s just a short quote, but it’s a good article! Part 3 of my report describing my meeting with Vineet Nayar, Chief Executive of HCL Technologies and author of Employees First, Customers Second is now online at Personnel Today: Author Interview. The article describes some of the changes involved in developing HCLT’s inverted pyramid, inverted HR function!, and also Vineet’s at least partly inverted (and I’d suggest highly commendable) management style. Part 2: Collaborative Organisation Structures (on Social Advantage). You already know my Talking HR show, in which I and my co-host Krishna De talk about HR, right? Well today, I begin a new series of shows, deliberately titled HR Talks Back. The idea of this is to give HR leaders, located anywhere in the world, the opportunity to talk about something that’s important to them. We kick off the series with an interview with Genevieve Glover, Executive Director, HR for AEG Europe in which Genevieve talks about developing a one team (‘one tent’) focus. The show broadcasts at 12.00pm BST on Thursday 8 June and an archive will be available after this time. The show also gives you the opportunity to talk the Genevieve and ask her questions about this one team approach. The number if you’d like to do this is +1 917 932 1997. AEG, with its international head office in Los Angeles, is one of the leading sports and entertainment presenters in the world. It owns or operates some of the world’s best arenas and theatres, numerous sports franchises and a collection of companies dedicated to producing, promoting and presenting world-class live entertainment. Genevieve is responsible for the development and deployment of the HR and Training strategies for the various businesses within the European Group. This includes The O2, the world’s most popular music venue for the last 3 years, and also incorporates businesses within the exhibition, family entertainment and transport sectors. Genevieve is also Chairman of Thames Clippers, the commuter boat service along the Thames and majority owned AEG business. Genevieve is a Non Executive Director for London Excellence, a not for profit organisation who’s vision is "all organisations in London and beyond will be recognised as performing to world-class excellence standards" and represent AEG Europe as an ‘employer representative’ on the London Accord Employers Coalition board (an employer-facing government initiative set up to enhance employment and skills provision for those furthest away from the labour market. The LEAC has a minimum target of helping an additional 5,000 people into jobs by 2012). Finally, Genevieve was a finalist in the CQI UK Quality Business Leader of the Year Award 2008. I’d like to start broadcasting these interviews every couple of weeks, so look out for future shows. 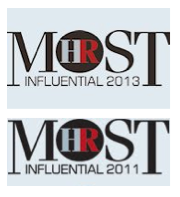 And if you think that you’ve got something important to say on HR and talent management, then do get in touch. I hope you enjoyed that little series of posts on putting people first. I’ve already posted recently on the need to balance competition with collaboration, ie not to get too focused on small groups of talent. So I thought I’d finish the series with a quick nod to the need to support and development all staff – even those at the bottom of the latter (particularly if they’re really at the top of the pyramid!). I’ve not read this book, but I enjoyed David Creelman’s review of Jody Heymann’s Profit at the Bottom of the Ladder. It’s available here. I thought I knew this from his book, but wanted to be sure, so asked Vineet what has led to HCL Technologies’ success – what is its source of competitive advantage – is it competitive positioning, core competencies or is it simply EFCS? Vineet explained that in 2005, HCL Technologies started an innovation in what they were doing, developing new products and services and the rest of the 4Ps to outserve their customers. But there’s a commoditisation taking place in the industry – you’re either good enough or you’re not. It’s OK if you’re Apple etc, but service companies are finding that they’re less and less differentiated. At around this time, the book Blue Ocean Strategy came out so HCL asked themselves can they could apply this to how they run their company. who creates it – employees (which means that HCL’s management needs to enthuse and encourage employees). That’s HCL Technologies’ competitive advantage - how they run the company. EFCS isn’t about being employee friendly – it’s about using employees as a way to grow faster that your competitors. Employees are your strategy and differentiation. An important part of EFCS is the family model which is about building a trust based environment based upon the family unit. Vineet wants to avoid the separation that occurs when people say good-bye to their families, go to work, hang their costs on a hook and leave their emotions, subjectivity, personality and connections to family life behind. Remember it’s not personal, it’s only business. Vineet believes these are outdated thoughts left over from the industrial age. So he’s led HCLT to become more transparent, sharing plans and financial information with everyone in the organisation. I wanted to ask about this because it goes so clearly against much conventional wisdom. In particular, Vineet talks frequently about the need to provide an appealing environment for Gen Y, but there is a view (yes, I’m thinking about you Laurie) that Gen Y desire an even more transactional and less close relationship with their employer. So what to do about it? – you need to develop relationships with your employees – what will you be doing to bring them closer to you over the next 2 years than they were over the last 2 years? Vineet described an organisation where someone said it felt like Russian Roulette, there had been so many redundancies. His advice was that you’ve got to care, not for people who go, but for the people you leave behind. Don’t let go of them – or let them go but care for them. In any case, things have changed, outside the workplace at least. Our generation want to be friends with their kids, who are generally more collaborative. So CEOs have no choice in this - if they want to grow, the only way to do so is to innovate through their teams. So they need to go back to their ‘family members’ and say let’s reset the whole thing. Vineet doesn’t mention rewards in his book, but it was an obvious area to ask about. If everyone is accountable to, and supporting everybody else, and if the traditional pyramid’s inverted, then to me, this means that there needs to be more equal sharing of rewards. And to me, it’s a critical enabler for building trust. So in his book, Vineet suggests self-orientation is one barrier to trust – people need to know that those they’re interacting with are thinking beyond their own self-interest. And surely focus on high personal compensation is a major part of this. Everyone needs to be rewarded appropriately. The definition of this varies individual to individual and country to country. Think of the Head of BP getting them out of the current crisis – any compensation is less that they deserve because they are the man in charge. Trust is the key. And lack of trust is the reason these questions are being asked. Do you ask your father how much do we spend? Everyone has work to do and the market determines their compensation (he’s not talking about obnoxious compensation). In any case, there’s a lot more to me as an employee than my compensation. And just because I’m being paid I won’t jump up and down for you. You go to church on Sundays. You pay to go to church and make a donation and provide your time and maybe do some social work and the church doesn’t pay you but you still have passion – why? So why do we assume that just because we pay you you’ll feel good. People have multiple interests - social activities, sports, technology etc - and the only way to engage them is in multiple directions. HCLT gains a lot of motivation by involving people in giving - for example by teaching for 2 hours per week. This leads towards thinking about concentric circles - like a Facebook. If you’re interested in a community, you can belong to it, if not, don’t belong. But if you’re a member of 6 or 7 communities, it provides a higher possibility of creating passion in you. I really appreciated the chance to have a conversation with Vineet, and highly recommend his book. I’ve also moved HCL Technologies experience up towards the top of my list of great HCM case studies. This has helped drive performance in HCLT’s ‘value zone’ and has contributed to new business ideas through unstructured innovation. Also see my post on HCLT’s collaborative organisational structures including more on Vineet’s concentric circles at Social Advantage. I’ve just come out of a meeting with Vineet Nayar, CEO of HCL Technologies, in which we discussed his new book, ‘Employees First, Customers Second’ (I’ll be reviewing this here and at Personnel Today). I will just say that I’ve very much enjoyed the book which is well aligned with my own thinking around HCM. I just hope it sells much better than the one on Profits First (which basically suggested that whilst customers might be second, employees should be placed very much at the back of the queue). An enterprise is only as great as the employees who work for it. The growth of a business centres around people, and success or failure hands on whether suitable employees can be found to undertake the tasks it needs done. No matter how fine a tradition it boasts or how excellent its technology or services, a business that cannot find people capable of sustaining these advantages will gradually go into decline. For that reason, every business takes the matter of cultivating human resources very seriously. I believe that the more successful a company is in these endeavours, the more its performance and fortunes will flourish. When you make use of a machine, all you have to do it turn on the switch and it will perform as it is designed or programmed to do; no more, no less. But people will reveal unexpected abilities – and willingly put them to work for you – if you adopt the right approach and the right attitude. Indeed, there lies the great challenge of training people and using their talents to optimal advantage. Human beings are complex and sensitive creatures. They’re sometimes difficult to understand, and often uncooperative. Every individual is different, changing from moment to moment – a veritable kaleidoscope of variety. One plus one may equal two in ordinary arithmetic, but with people the equation is not so simple. In the proper combination, the working potential of two people may equal three or even five; in a bad pairing, the same two can equal zero or even less. In this sense, nothing can be more unpredictable, unfathomable, and difficult to del with than human beings. Even here though, the general tone of the comments could apply just easily to web 2.0 today as web 0.0 back then. Technology’s moved on a pace, but I’m not sure management has - even if Matsushita showed us the way 33 years ago. Let’s hope there’ll be more progress between now and 2043! In the meantime, I’ll be posting some of Vineet Nayar’s thoughts on management later on today. Despite my focus on HR 2.0 during the past month, I’ve been continuing to work on HCM as well (consulting and writing). 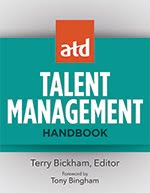  Talent shoring — basing a company where talent is rather than where customers are, or costs are less.  Communityship — for example, placing project-based staff in communities and moving them across projects to provide broadly based performance feedback and to support career advancement.  Head farming — proactively searching for talent and building relationships in advance of recruitment (v head hunting).  Job sculpting — creating jobs to fit talent, rather than the other way around.  Dream making — discussing the individual’s dreams and how these can be achieved at work, rather than just looking at how the individual can help achieve the organisation’s plans (as in traditional objective setting).  Deal management — broadening out performance management to review the organisation’s engagement of the employee, as well as how the employee is performing for the organisation.  Career partnership — providing an employee with the opportunity to work over several discrete periods, gaining experience with other organisations in between these times. completely different value chain — the creation of human capital. 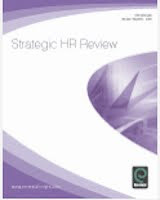 This means that, although HR does provide value as part of the business leadership team, focusing on the traditional value chain, the function provides much more impact by focusing on the HCM value chain and the creation of the right form(s) of human capital leading to competitive advantage. This shift in focus suggests that the future of HR, or at least the function responsible for people management (which Lawler suggests should be called the Organisational Effectiveness unit), is not to be yet another business function (as in the current call to be a business function first, HR function second) but for HR to pride itself in its focus on, and its abilities to develop human capital. If you didn’t receive it from me, the first edition of the Strategic HCM newsletter is available here. I’ll be catching up with more posts from the conference during early July. You’ll have probably noticed that there were a lot more posts on HR 2.0 and Social learning last month too!